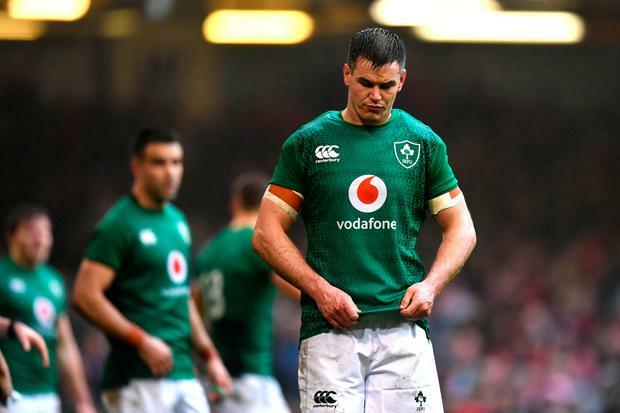 Joe Schmidt has defended out-half Jonathan Sexton and scrum-half Conor Murray after another under-performance from Ireland's stuttering half-back pairing. Both players have failed to ignite in this year's disappointing Six Nations campaign and struggled in today's 25-7 defeat to the Welsh. "There was frustration there and we'll see those in the review," he said, when asked about Sexton's bad-tempered exchange with referee Angus Gardner. "He has been really positive through the week, he is building his way forward. He has been a lynchpin for so many positive wins. "Jonathan and Conor have had so many days when they have been the hub on which the whole thing has turned. They're not the reason we lost. "By taking off players if they are not performing well, you don't grow them as players and get them back to where they need to be. You need to grow their confidence."